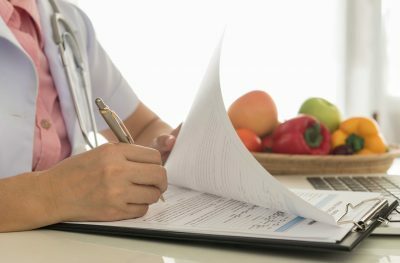 Clinical Nutrition specialises in the complex relationship between nutrition, disease & chronic health issues, bridging the link between medical conditions and nutritional deficiencies/imbalances. Chronic Fatigue CFS/M.E. and Adrenal Exhaustion. Fibromyalgia therapies and specialist remedial care and symptom management. Candida Specialist in fungal infections and yeast over-growths with symptoms including; Thrush, feeling lethargic, needing sweet foods, vaginitis. IBS & Digestive System Disease including; Chronic Diarrhoea, Colitis, Crohns Disease, Bloating, and Intestinal Parasites respond positively to the specialist therapies. Allergies and Food Intolerances – Biomarker testing and Blood testing. Metabolism or Nutrition Concerns – Carolyn offers metabolic profiling and nutrition evaluation status evaluation testing linked to balanced nutrition targets and diet planners which are personalised to meet your diagnosed nutrition and metabolism needs. Women’s Health – Carolyn provides diagnosis, testing, and her own specialist therapies for those with menstrual and menopause problems, hormonal, PCOS, and HRT problems. High Blood Pressure and High Cholesterol – Oral Chelation therapy is natural to the body and doesn’t involve any injections or surgical intervention. HOW TO TEST FOR FOOD ALLERGIES AND INTOLERANCES? Through an individual’s blood sample their immune antibodies are tested against different food groups to ascertain whether they have Food allergies or Food Intolerances. WHAT IS IBS AND CAN IBS BE CURED? Chronic IBS is a deep seated functional bowel disorder of the gastrointestinal tract with symptoms of; diarrhea, constipation, bloating, abdominal pain, wind and poor or excessive bowel movement. Clinical Nutrition aims to investigate the root cause of IBS which can lead to full recovery. Thyroid conditions are Hypothyroidism, Hyperthyroidism, Hashimotos disease and Graves disease. WHAT ARE THE SYMPTOMS OF THYROID CONDITIONS? Symptoms of thyroid conditions are: Insomnia, Poor circulation/always cold, Excessive Fatigue, unexplained Night Sweats, Weight Gain, Hair Loss or over anxiety. HOW TO TEST FOR THYROID CONDITIONS? HOW ARE THYROID CONDITIONS TREATED? The thyroid is tested through a Comprehensive Thyroid blood test. Treatments range from herbal, amino acid and vitamin support to specialised glandular treatment.